Tens of thousands of internally displaced persons in Sri Lanka place their hopes in a recent UN resolution. Sanjeev sits nervously in a scuffed plastic chair, half-listening to the sounds of the road outside the displacement camp where he lives. Seven years have passed since his involvement in the Liberation Tigers of Tamil Eelam (LTTE), the militant separatist organization that claimed a homeland for Sri Lanka’s minority Tamils until its demise in 2009. Sanjeev’s neck, where an LTTE cyanide capsule once hung, is now bare. After two years in a government rehabilitation camp, he believed he could return to his family’s brick house; instead, he returned to a corrugated metal shack and a military fence. This month, the UN Human Rights Council passed a resolution establishing an international investigation into possible war crimes committed in the last months of Sri Lanka’s 26-year conflict. Of particular concern are an estimated 40,000 civilians killed as the military completed its final offensive in May 2009. Though the UN resolution targets abuses committed during the war, it is aimed more broadly at the culture of impunity that has flourished under the government of President Mahinda Rajapaksa, architect of what the International Crisis Group has termed Sri Lanka’s “Potemkin Peace.” The past two months alone have seen a prominent journalist murdered, two well-known human rights activists detained, and a mass grave discovered. For Sanjeev, reports of mass graves and missing persons punctuate the more chronic pain of internal displacement. Since the end of the war, the Sri Lankan military has occupied his home district of Sampur, but refuses to recognize his community as displaced. Stories like Sampur’s are common: as of April 2013, the government had seized an estimated 7,000 square kilometers of land in the post-conflict area. While last week’s UN resolution does not directly address the plight of internally displaced persons (IDPs), their ability to one day regain their land hinges on whether an independent war crimes investigation can push the Sri Lankan government toward international standards of human rights and legal process. The LTTE governed Sampur, a collection of villages on Sri Lanka’s east coast, until 2007, when the Sri Lankan military reclaimed it after a fierce battle. The government told Sampur’s more than 15,000 inhabitants that they could return to their land after demining. But Sanjeev and his neighbors soon realized that the Sri Lankan government had little intention of following through. They learned that the government had quietly entered into an agreement with a state-owned Indian company to establish a coal power plant in Sampur. Rumor spread that a new road of reddish gravel leading from the military-held area had been supplied with the dust of Sampur’s houses. 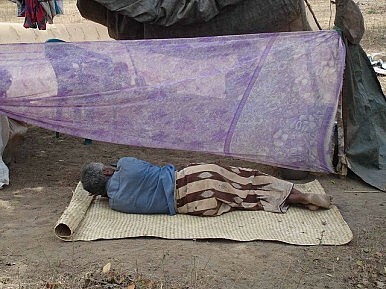 The Sri Lankan government encouraged Sampur’s residents to relocate, but most chose to camp in a public lot in nearby Killivetti, where they have remained since 2007. Because they have no deeds to the land they occupy in Killivetti, aid organizations have no basis on which to build permanent housing. Official figures, however, ignore communities like Sampur, which are displaced within their home districts. Investigative work by a Sri Lankan think tank, Center for Policy Alternatives, indicates that government deregistration of IDPs ignored intra-district barriers to resettlement such as military seizure of land. According to the UN, Sri Lanka still housed more than 93,000 unofficial IDPs in December 2012, three months after Rajapaksa’s statement. Camped in Killivetti, Sampur’s residents are deprived of their livelihoods and dependent on foreign aid. Two court cases filed on their behalf have gone nowhere. They and tens of thousands of other IDPs are casualties of military impunity and a lack of political will in Colombo to ensure a legitimate transition to normalcy for war-affected Tamils. Scenes of U.K. Prime Minister David Cameron visiting the post-conflict area embarrassed Rajapaksa’s government at the 2013 Commonwealth Heads of Government Meeting and set the stage for the recent UN resolution. Cameron’s visit gave the world a glimpse of Sri Lanka’s lingering humanitarian crisis – a crisis not only of war crimes but also of internal displacement that could provoke future upheaval if left unresolved. A tall fence keeps Sanjeev out of Sampur, but nothing keeps him in Killivetti. Yet at the suggestion of leaving, he shakes his head. He has no family elsewhere, so where would he go? More importantly, Sampur is his home, and he wants to fight for it. Perhaps he thinks of relocation as giving up. A man without hope would not endure the endless surveillance, leaky roof, and loss of dignity that accompany life in a Sri Lankan IDP camp. He stays for the chance that a David Cameron – or perhaps the UN itself – might descend on Sampur, and that the world might listen. Until then, he waits outside the military fence surrounding his home. For now, his only contact with Sampur is the road of fresh red gravel crunching under his feet. Sarah Stodder served as a 2012-2013 Fulbright Scholar to Sri Lanka, where she studied the intersection of post-conflict reconstruction and natural disaster management. Fellow Fulbright Scholar Sean O’Connor assisted in researching this article. A robust policy on diaspora engagement remains critical to domestic stability and international relations in postwar Sri Lanka.